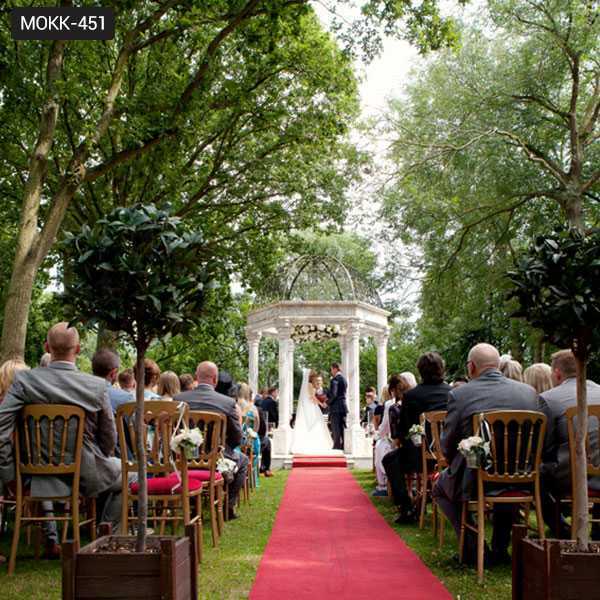 An enchanting classical dream! 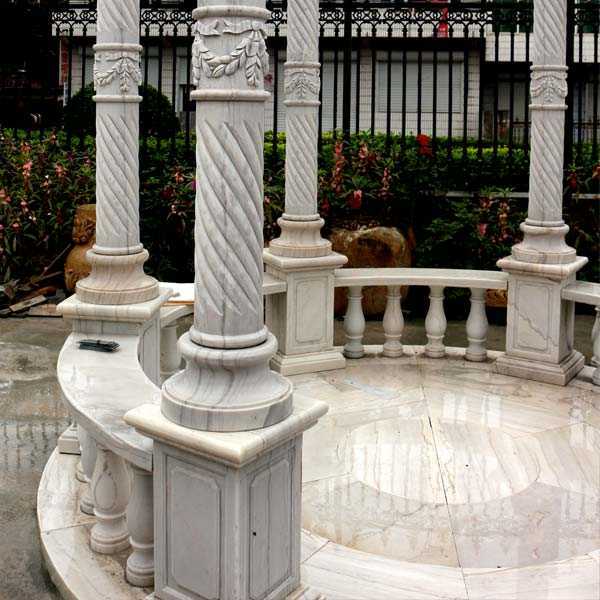 This gorgeous hand carved white stone marble gazebo features several elegant columns supporting a circular architrave. 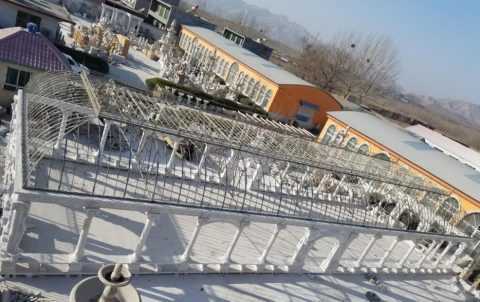 A dome shaped ceiling of fanciful iron artwork completes this spectacular piece. Please contact us today for a custom quote. 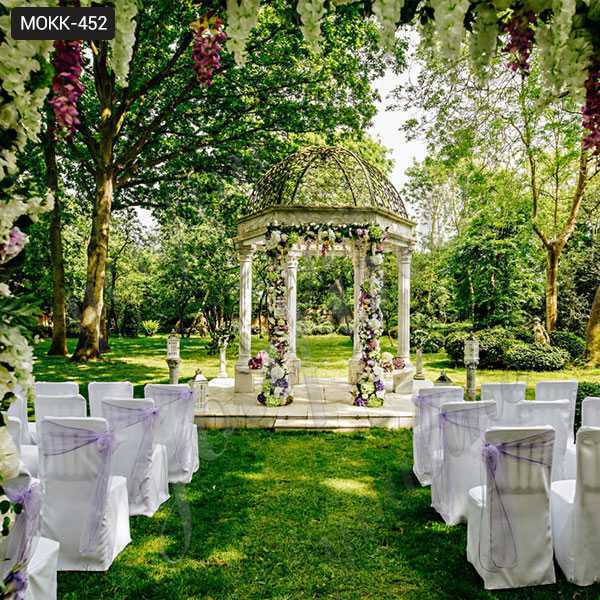 Hand carved from solid white marble, this magnificent gazebo makes a strong statement of beauty and elegance. 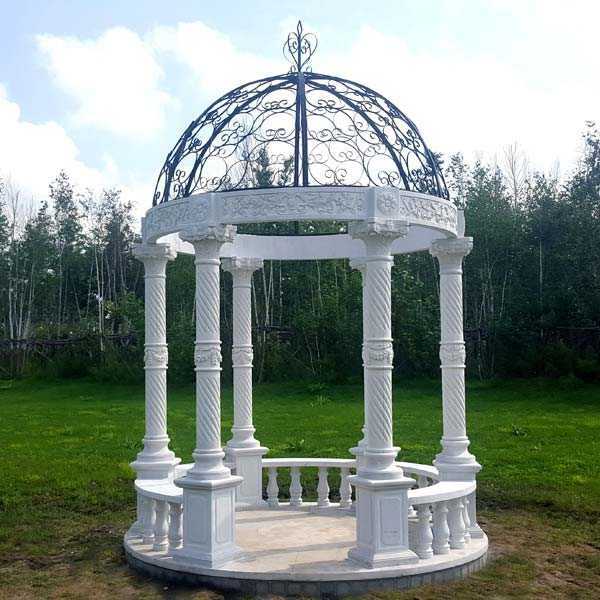 We supply various marble gazebo for garden and landscaping, a wide range of stone colors and styles for your choice.They add an artistic focus and bring a sense of style and tradition to your landscape design and courtyard garden. 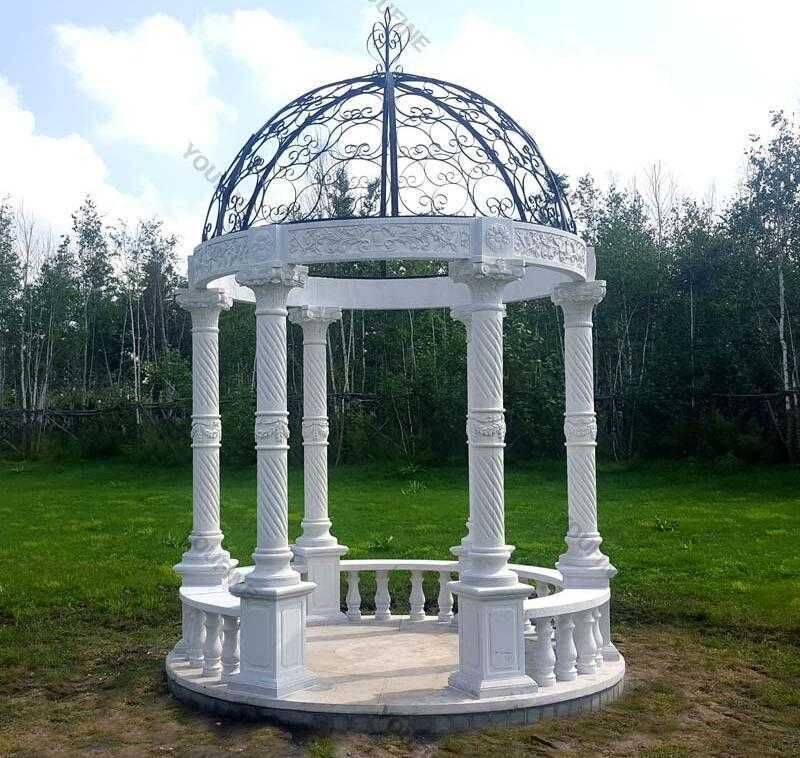 Each You Fine Art Sculpture gorgeous hand carved white stone marble gazebo comes with a free water-proof cast iron dome cap, and is available in sandstone, marble, limestone and travertine. 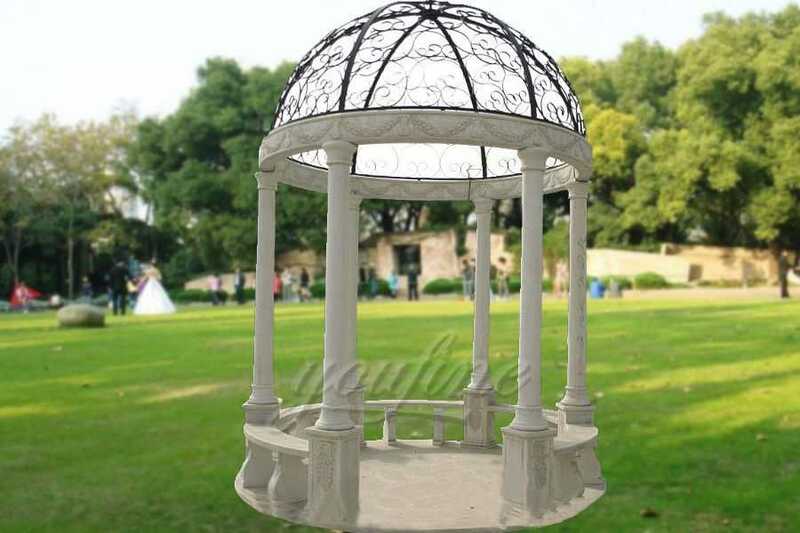 We customize each marble gazebo to fulfill your special needs. 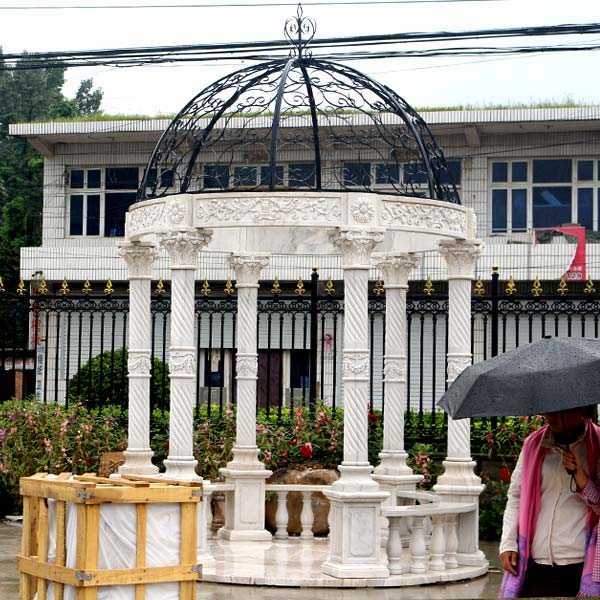 Remember, we are China factory direct exporter that supplies large selections of high quality cheap price stone gazebos worldwide. 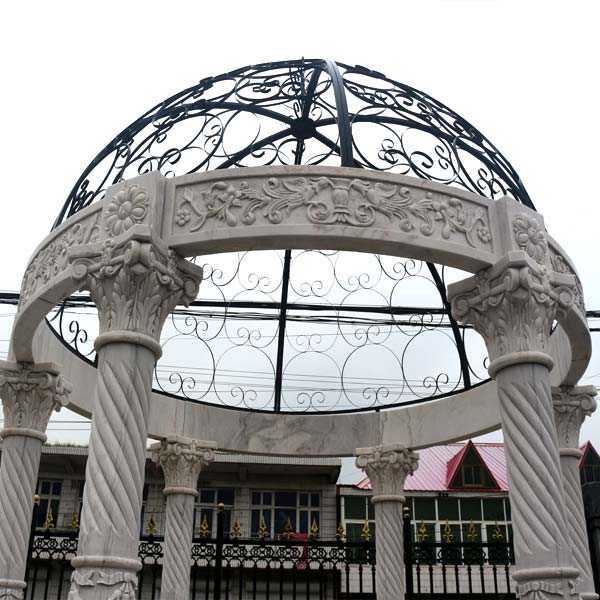 Product range: Carved marble gazebo, marble gazebos, statued marble gazebo, sculptured marble gazebo, sandstone gazebo, limestone gazebo, Greek statue marble gazebo, columned design gazebo grey marble gazebo, red marble gazebo, travertine gazebos, marble summerhouse. 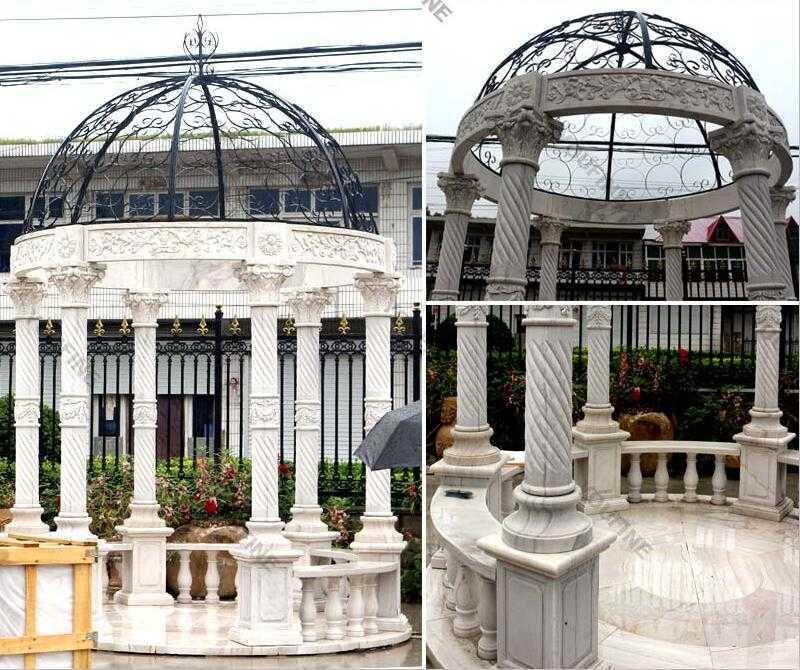 Any requirement about gorgeous hand carved white stone marble gazebo for wedding ,or other marble product like marble fountain,marble statue please contact with us right now !